In the wake of Superstorm Sandy, FEMA reached out to 144,000 East-coast homeowners whose flood claims were wrongly denied, giving them a second chance to access the recovery help they needed, and were entitled by law to receive. We want to know why FEMA won’t do the same for homeowners in Puerto Rico. 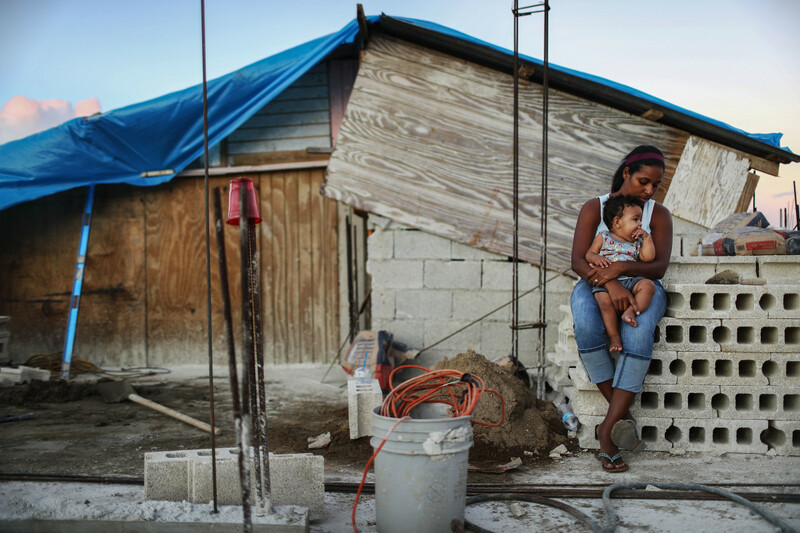 More than 75,000 low-income homeowners in Puerto Rico are still waiting for help to rebuild their homes, more than a year after Hurricane Maria swept the island. FEMA initially rejected their application for benefits because these applicants did not present a registered certificate of title to prove they owned the damaged property. But these applicants did own their home under Puerto Rico law. They either acquired it through inheritance, or through a process of “prescription,” which typically involves someone making use of an abandoned building or land. 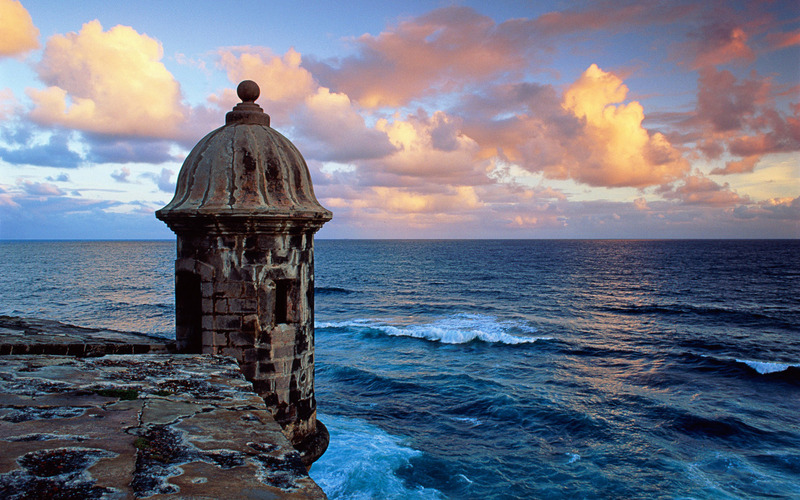 Puerto Rico doesn’t require this type of property to be registered in order to establish ownership. Thanks to the work of local advocates, FEMA finally agreed that these applicants should have been recognized as property owners all along, and will allow them to re-apply for benefits using a “Sworn Declaration” to verify ownership. But because FEMA has refused to notify individual applicants of these new developments, thousands of homeowners may never know their benefits were wrongly denied, and will continue to lose out on critical recovery assistance they are entitled by law to receive. What we want is simple: FEMA must notify individual applicants that their benefits were denied due to the Agency’s mistake, and give them a meaningful opportunity to reapply. By one count, that’s about 77,000 homeowners. We know FEMA can do this, because it’s done it before. Between 2012 and 2015, thousands of homeowners on the East-coast were wrongly denied insurance payouts following Superstorm Sandy. FEMA set up a claims review process to make things right, and notified 144,000 individual homeowners of the opportunity to participate in that process. That’s about twice the number of applicants wrongly denied benefits in Puerto Rico following Hurricane Maria. If FEMA can reach out to individual homeowners on the East-coast, why can’t it reach out to similarly situated homeowners in Puerto Rico? We’ve yet to hear a compelling reason. We’ll continue to work with organizations like Fundacion Fondo de Acceso a la Justicia, Ayuda Legal Puerto Rico, Servicios Legales de Puerto Rico, and others, until this problem is solved. In our Letter to Congress delivered on Monday, members of the NLIHC’s Disaster Housing Recovery Coalition asked for legislative oversight to ensure that FEMA is properly administering the nation’s disaster recovery program, and affording all hurricane survivors, wherever the storm strikes, to effective and equal treatment. Following up on my earlier post, the UK Parliament’s International Development Committee held hearings this morning on sexual exploitation and abuse in the aid sector. A video link of the 90 minute proceeding is here. Testimony was provided by Asmita Naik, Independent Consultant with extensive experience within the aid sector and the UN, and Helen Evans, Former Global Head of Safeguarding at Oxfam GB. More than 40 submissions were received as written evidence. The full list is here. Our submission, a collaboration between the DLP, IJDH, and Doughty Street Chambers, is here. We are calling for an on-the-ground independent review beyond the capacity of the IDC, to investigate how safeguarding policies and procedures are being implemented in the field. We also emphasize the need for stronger and more transparent Codes of Conduct, safer and more accessible reporting mechanisms, and referrals of criminal/civil violations to authorities in the host country, and other countries with jurisdiction over such matters. Following revelations of sexual misconduct by Oxfam personnel in Haiti after the 2010 earthquake, the UK Parliament’s International Development Committee initiated a special inquiry into sexual exploitation and abuse in the aid sector. DLP submitted recommendations in collaboration with The Institute for Justice and Democracy in Haiti, and Doughty Street Chambers. Hearings at the IDC in London begin today, but procedural rules require that all submissions remain confidential until they are accepted as evidence, which we understand becomes official tomorrow. Until then, you can find a preview of our recommendations via this link, and pasted below. I will post any hearing updates on twitter. A coalition of lawyers from the Institute for Justice & Democracy in Haiti (IJDH), the Disaster Law Project (DLP) and Doughty Street Chambers has submitted a joint submission to the International Development Committee (IDC) inquiry on sexual exploitation and abuse (SEA) and related misconduct in the humanitarian aid sector. The submission sets out key changes necessary to establish effective safeguarding processes and strengthen accountability in the sector, and calls for an independent, external sector-wide inquiry. “The IDC’s inquiry is an important first step, but an in-depth independent inquiry is necessary to reveal the scope of the problem, analyse how safeguarding practice are operating on the ground and ensure accountability” said Nicole Phillips, Staff Attorney with IJDH and one of the submission’s authors. “An independent inquiry is an opportunity for the UK to lead globally in ending abuse and impunity in the aid sector and rebuilding public confidence. This goes far beyond Oxfam” she continued. Both Concannon and Robinson emphasised the need for an independent sector-wide inquiry at the APPG, a position also welcomed by Oxfam. At least 23 organisations have been reported to have been implicated in SEA in Haiti, the Ivory Coast and Sudan. Robinson said that a sector-wide review would have greater credibility with the public; would better protect Oxfam’s reputation and the reputation of other aid organisations and would be far more cost efficient than if each aid organisation conducted its own internal review. While the Charities Commission investigation into Oxfam is welcomed, Robinson said that “an organisation-specific approach is not going to have the sector-wide impact that it needs to have”. The Haiti All Party Parliamentary Group meeting participants, which included Lord Bates, Minister of State at the Department for International Development, were receptive to the proposals and encouraged a submission to the IDC. require grievance mechanisms that are transparent, accessible, secure, and capable of providing victims with an adequate remedy. Reports from the Haiti APPG can be found here and here. If you’re in Puerto Rico, you now have until June 18 to apply for disaster benefits. This is the second time FEMA extended the filing deadline, giving applicants nearly 9 months to submit a claim. That might seem like a long time, but it makes sense given FEMA’s slow start and lingering recovery roadblocks. FEMA took weeks to open the first Disaster Recovery Center where survivors could apply in person, and widespread power outages made it impossible for people who couldn’t reach a DRC to apply by phone or on-line. Things are improving, certainly, and FEMA so far has processed about 1.2 million applications for individual and household benefits. But with roughly 150,000 customers still waiting for electricity, it’s impossible to say that everyone’s had a fair opportunity to apply. FEMA has the authority to extend the deadline again, but my hunch says it won’t. By comparison, FEMA accepted applications for 6 months following Hurricane Katrina and Superstorm Sandy, but we’re nearing a month past that point already for Hurricane Maria. Moreover, even if Puerto Rico’s Governor, Ricardo Rossello, formally requests an extension (which he’d have to before one is granted), FEMA could reject the request if it’s satisfied with the pace of progress and number of applications received between now and then. In person at a Disaster Recovery Center (find one scroll to the bottom of this page). 1. Get help from a lawyer by calling 1-800-310-7029. That’s the number for the Disaster Legal Hotline, a service set up by the Young Lawyers Division of the American Bar Association and their pro-bono partners. Leave your basic info, and they’ll connect you with a lawyer who’s done this kind of thing before. The lawyer can answer questions you have about the application process, work with FEMA on your behalf, and help file an appeal if you’re denied or awarded less than you expected. It’s free for most people who call. The Trump Administration will have to defend its decision to end Temporary Protected Status for Haiti in court. The NAACP’s Legal Defense and Education Fund brought suit last week, maintaining that the Department of Homeland Security had no legitimate reason to end TPS, but did so out of discriminatory bias towards Haitian immigrants. I won’t use this space to recite the tirade of reprehensible slurs coming from the White House. They’re outlined in the Complaint, and summarized by Jacqueline Charles at the Miami Herald. The LDF bases it’s claim on the equal protection component of the 5th Amendment’s Due Process Clause. The best chance of winning will come if LDF can show that Trump’s prejudices steered the outcome over at DHS. ConLawProf blog explains a couple nuances on how the case might proceed. Putting aside the constitutional question, though, it’s possible that DHS violated the TPS statute. 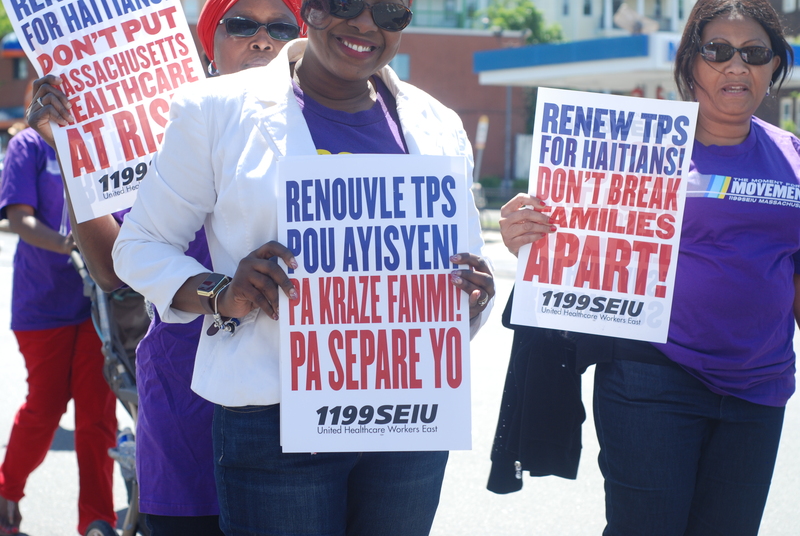 DHS ended TPS citing progress Haiti had made recovering from the 2010 earthquake. But under the statute, DHS should have assessed whether additional conditions, unrelated to the earthquake, created an intolerable risk of harm for returning immigrants. Framing the DHS decision as a statutory violation has strategic benefits because questions of subjective intent and causation that arise in constitutional cases are notoriously hard to prove. And however solid the record, a judge could bristle at having to call out a President for intentional bias. But those concerns are not an issue under the statute. The goal is simply to figure out what the language requires, and ask whether DHS followed the rules. Based on what we know so far, there’s a good chance it didn’t. Here’s how the statute works. The Department of Homeland Security will decide by November 23 whether 59,000 Haitians who benefit from Temporary Protected Status, or TPS, will be allowed to stay in the United States, or will be forced to return to a country that is incapable of taking them back. Haiti was initially granted TPS in 2010, following a catastrophic earthquake that, according to government figures, killed up to 300,000 people and displaced more than a million. TPS was reauthorize several times after that, following a record breaking Hurricane and cholera epidemic introduced by UN peacekeepers. 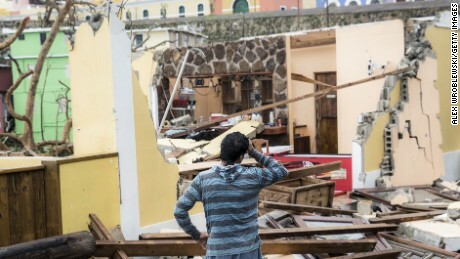 Hurricanes Irma and Maria compounded the damage from all of this. Last week DHS declined to extend TPS for Nicaragua, which, like Haiti, is perpetually hammered by natural disasters. In October, the State Department called for an end to TPS in Haiti and several Central American countries. And last May, then DHS Secretary John Kelly reluctantly granted Haiti a 6 month extension, warning Haitian immigrants to use that time to “handle their affairs,” and arrange departures from the U.S.
A handful of lawmakers from both sides of the aisle who support TPS see where this is headed. They’ve pressed DHS for an extension, and introduced bills to provide TPS beneficiaries with Permanent Residency and a path to citizenship. But they’re up against a Trump Administration bent on banning most immigrants from entering the country, and expelling those who are already here. I understand it looks bad. However, none of these factors, definitively at least, closes the door on TPS for Haiti. To keep things in perspective, here are three things you should know. Under the governing statute, TPS is permitted when conditions in an immigrant’s home country make it too dangerous to return. But in cases that involve an environmental disaster, DHS cannot authorize TPS unless the nation at issue requests it. Under US immigration law, Temporary Protected Status, or TPS, allows undocumented immigrants to remain in the country for a period of time without being deported. It applies when conditions in a receiving country are too dangerous to justify deportation on account of natural disaster, armed conflict, or other comparable circumstance. There are lots of reasons why the US should consider TPS for Caribbean countries, based on humanitarian considerations alone. I outline many of then in a Florida Sun-Sentinel oped, linked here. TPS helps reverse the very conditions that make deportation so dangerous. Immigrants from TPS countries are permitted to work, and large sums of what they earn are sent back as remittances to their home country. 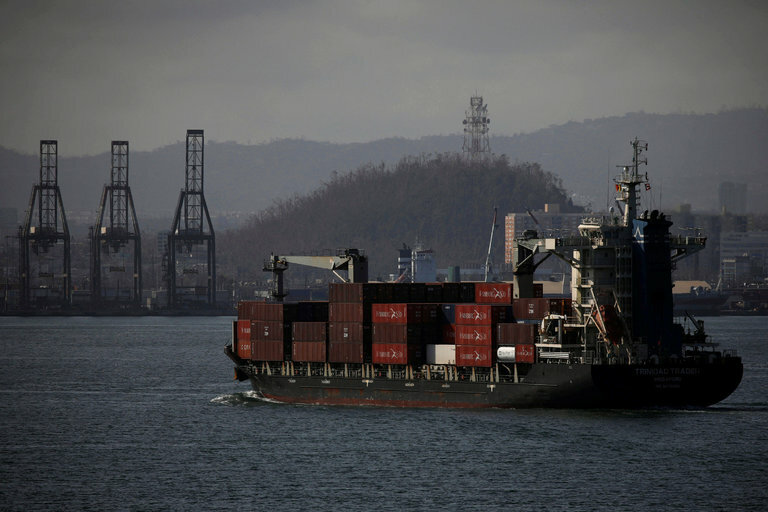 Liberia received upwards of $340 million annually, a full 25 percent of the country’s GDP, before TPS was terminated earlier this year. Remittances to Sierra Leone and Guinea also helped move those countries towards stability, and off the TPS list. TPS is no easy sell in the current environment. Haiti is up for TPS renewal this month, following a designation and series of extensions it received after the 2010 earthquake. The Department of Homeland Security will have the final say, but an influential assessment released last week by the State Department recommended against an additional extension. If DHS adopts those findings, TPS for Haiti will expire in January 2018. Nonetheless, a bipartisan group of lawmakers is urging the Trump Administration to grant TPS to Caribbean nations facing a long recovery. If they succeed, upwards of 500,000 Caribbean immigrants could potentially benefit, as would the islands themselves. Rossello and Cruz sing different tunes on Puerto Rico recovery. It’s all stagecraft – and it make perfect sense. A question posted on a FB Disaster group I belong to asked why #PuertoRico governor Ricardo Rossello and San Juan Mayor Carmen Yulin Cruz are sending different messages on the federal recovery effort after Hurricane Maria. Rossello’s praising FEMA and chumming up with Trump, while Cruz is using the word “genocide” to describe the administration’s incompetence and neglect that is ratcheting up the death toll with each passing day. Rossello and Cruz sound worlds apart, but they’re living through the same catastrophe, and I guarantee they’re actually on the same page. The rest is political stage-craft, and it makes sense. Folks here surely know more about Puerto Rico than I do, but the visuals of Rossello v Cruz right now are a mirror image of Louisiana Gov Kathleen Blanco and NOLA Mayor Ray Nagin post-Katrina. It’s about two things: money and politics. Rossello and Cruz have different roles under the Stafford Act, 43 USC 5121, which governs how disaster declarations are made, how much Washington will bill PR for the costs of recovery, and how the money is distributed. They also have different political constituencies. Rossello represents a mix of urban and rural voters spread across the island. Cruz represents voters in San Juan. His base is broader, both geographically and politically. Her’s is more cohesive. So Rossello has to dance more closely with the feds than Cruz because he’s the one who makes requests to Washington. He needs to stay in Trump’s good graces to get more money and resources. Politically, he also wants credit for rescue and recovery efforts that might be taking place in certain areas, in order to maintain voter support in those regions. He wants those voters focused on the progress happening right in front of them, not the lack of progress elsewhere – and certainly not asking why *more* isn’t getting done in their own neighborhoods. If he starts complaining loudly, his constituents might grow impatient and start to change their perspective -folks who are *ok* might start to demand more from the government, and if he can’t deliver he’ll lose their support. He’s already getting hit on social media for everything that’s going wrong, so this is a real risk. So for Rossello, it’s is all about playing nice and managing expectations. Cruz on the other hand is one additional step removed from Washington. The money will go to PR first in terms of loans and grants, then trickle down to San Juan. So she has to be nice to Rossello, not Trump, DHS, or FEMA. And as I alluded to above, her constituents are more or less all in the same boat – she doesn’t have to play both sides of the recovery coin. And in all likelihood, I’d bet their scripts are coordinated. Cruz has been sleeping on a cot for 8 days. Rossello doesn’t want to take the blame for that. He wants Trump to take the hit as much as Cruz does.